As data collection becomes more popular, management of that data — what information is actionable, and what actions should be taken — becomes an important consideration. DataZeo is dedicated to refining meter reading, field operations, and customer communication. “The data is only presented when it matters. You don't just show all the data; you show the data that people need so that they can perform whatever function they need to. A very simple case of that is what we call our ‘Certified Reads’ product,” explains Scott Wills of DataZeo. Certified Reads provides a GPS stamp and time stamp when anomalies are detected, and also prompts field personnel to document with photographs and even perform actions such as leave a door hanger for the customer. The information can also be communicated back to the customer in the form of an e-mail or as a stuffer in their monthly statement. Whether for AMI or manual meters, DataZeo has developed methodologies to simplify O&M and consumer engagement. 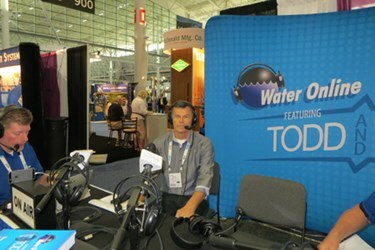 Learn more by tuning into the Water Online Radio interview below.